Trai Cartwright has worked in the movie and television industry for almost two decades with stints in Hollywood, including Orion Pictures, and Colorado. In addition to teaching the craft of screenwriting Trai has founded the Colorado Script Exchange, and outlet for screenwriters to display their wares. We discuss these topics with Trai in the third season premiere of the NCW Podcast. Listen to it at the show page, PodOmatic, or iTunes. We'd like to know what you think about this episode. Please leave your comments here, on PodOmatic, or at iTunes. And if you don't want to comment on the episode, please answer the following questions for us: Name the one creative thing you want to accomplish in 2016. 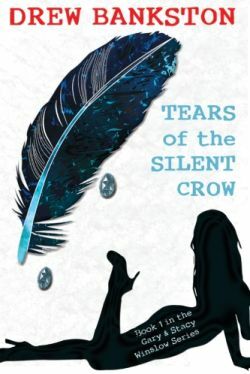 This edition of the NCW Podcast is sponsored by Tears of the Silent Crow, the 9th book by Drew Bankston. Meet Gary and Stacy Winslow as their all-expenses paid Hawaiian honeymoon becomes a mystery filled with poison, police, and a 170-year-old treasure. Available January 15 via Amazon and Kobo.